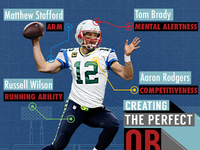 Published: Sept. 3, 2013 at 03:19 p.m. 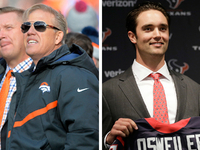 Updated: Sept. 3, 2013 at 04:54 p.m. 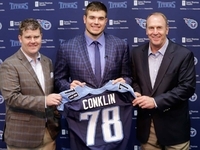 The Green Bay Packers made a concerted effort to revamp their running game when they selected a pair of running backs, Eddie Lacy and Johnathan Franklin, in the 2013 NFL Draft. I believe this infusion of talent in the backfield, particularly Lacy, could help the Packers regain their championship swagger on offense. The Packers have routinely fielded potent offenses in the past few seasons, but the unit has lost some of the toughness and physicality that made it a well-rounded group when Ryan Grant was in his prime. As Green Bay's feature back in 2008 and '09, Grant posted back-to-back 1,200-yard seasons. He was a hard-nosed inside runner with deceptive speed, strength and power. Most importantly, he handled a heavy workload (312 carries in 2008 and 282 in '09). 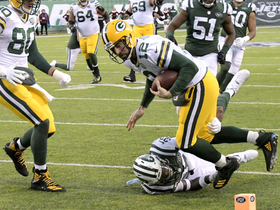 Grant could grind out tough yards between the tackles, meaning the Packers could turn to a power-based ground attack when opponents made a concerted effort to neutralize all-everything quarterback Aaron Rodgers and the passing game. 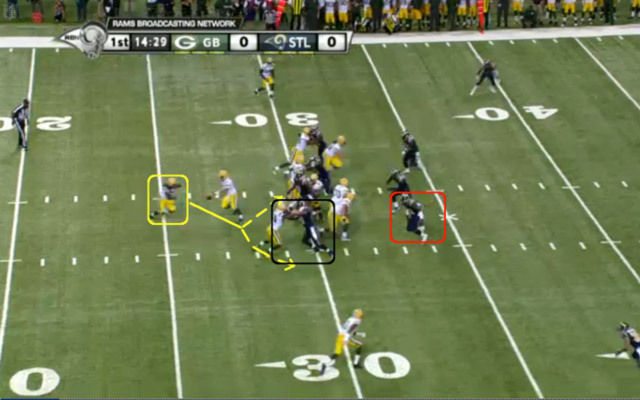 In Lacy, the Packers have a big, physical runner with a rough-and-rugged game. 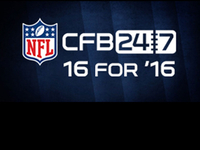 Checking in at 5-foot-11 and 230 pounds, he is a punishing inside runner adept at running through contact in the hole. He frequently blew through defenders on inside runs throughout the preseason, continuing a trend that saw him average 7.6 yards per attempt on inside runs during his final season at Alabama. Additionally, Lacy runs effectively from one- and two-back formations, which makes it possible to keep him on the field in various packages, including "11" (1 RB, 1 TE, 3 WR) and "12" (1 RB, 2 TE, 2 WR) personnel groupings. 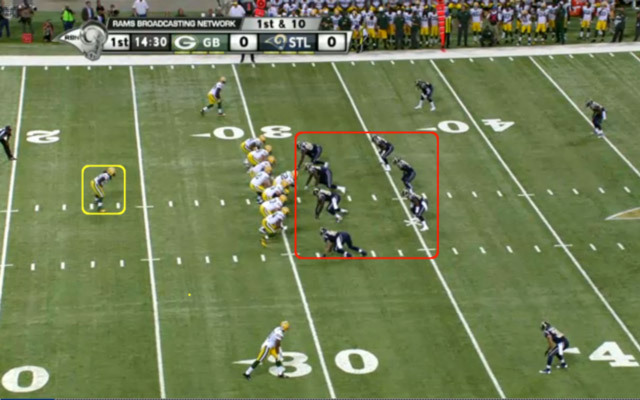 This is an important development for the Packers' offense, because it allows head coach Mike McCarthy to feature a power-based running game from the same spread formations Rodgers uses to pick apart opponents with pinpoint passes. 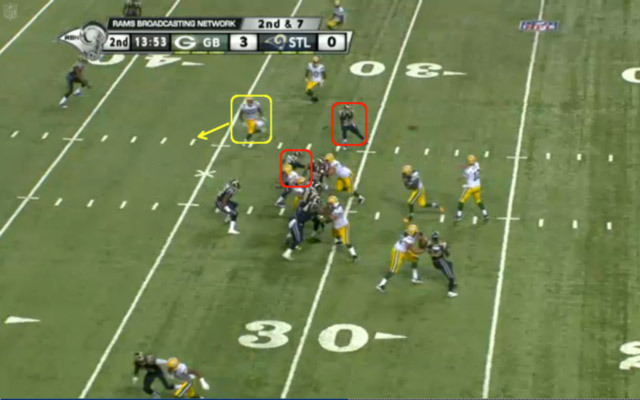 I looked at some of the Packers' offensive snaps from the preseason, and I believe McCarthy has already given the NFL a glimpse at how Lacy could help the unit this fall. 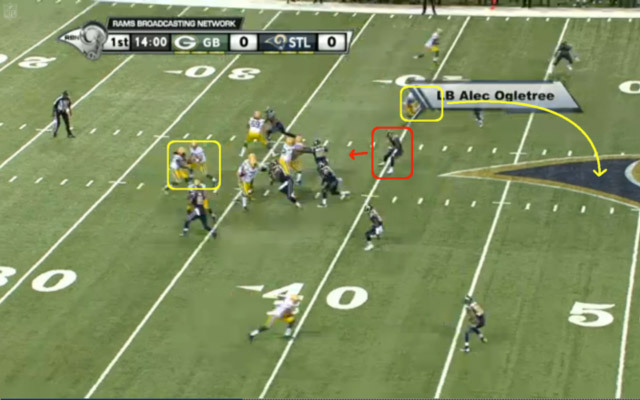 2) Lacy's presence reintroduces the long ball to Green Bay's game plan. 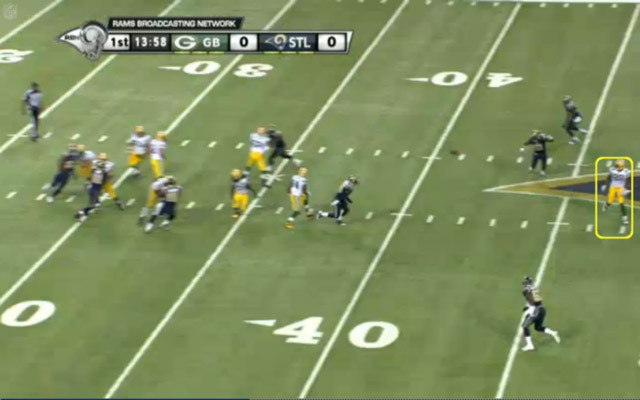 Part of the impetus behind developing an improved running game in 2013 is finding a better way to keep Rodgers upright in the pocket. Last season, the Packers surrendered 51 sacks (second-most in the NFL) and subjected the 2011 NFL MVP to several big hits in the pocket. 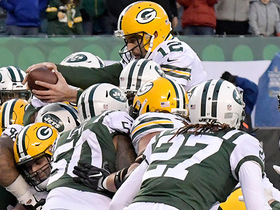 The constant harassment forced McCarthy to tweak his game plan to feature fewer five- and seven-step drops, which greatly reduced the number of vertical throws in the Packers' playbook. Consequently, Rodgers' passes of 20-plus yards (54 in 2012, down from 64 in '11) and 40-plus yards (nine in 2012, down from 13 in '11) declined significantly last season. These totals also represent a tremendous drop-off from Rodgers' deep-ball production in 2008 and '09, when he tallied 16 and 17 passes of 40-plus yards, respectively. With a Lacy-led power running game in place, though, the Packers can force opponents to abandon some of the exotic pressures that have tormented the offensive line in recent years. Due to concerns about gap integrity at the line of scrimmage, opposing defensive coordinators won't be able to utilize some of the twists, stunts and blitzes that are effective in obvious passing situations. Quick-hitting running plays exploit such tactics by allowing the runners to hit the hole before defenders are able to get into the gaps. 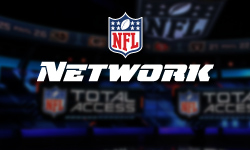 Therefore, opponents will rely on conventional pass-rush tactics, which feature more straightforward rushes, with possibly one or two linebackers inserted in the pursuit. 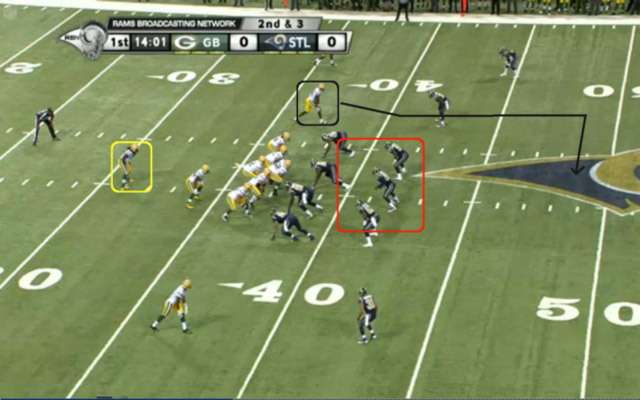 As a result, the offensive line is better able to identify potential blitzes and properly secure the edges. 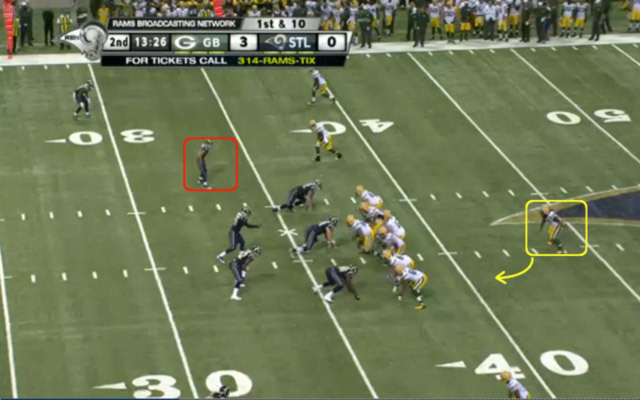 The threat of an effective running game also will change the coverage Rodgers faces in the back end. 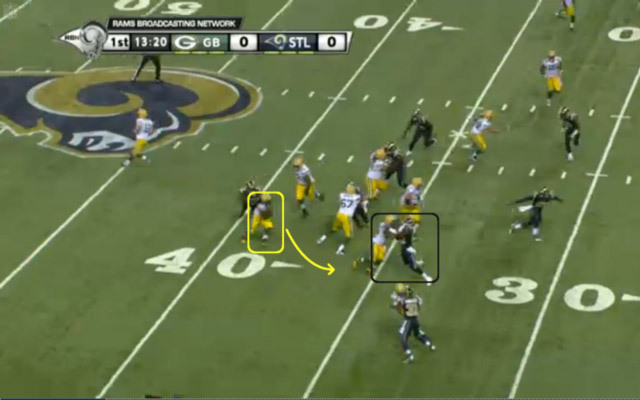 With a power runner like Lacy in the backfield, defensive coordinators won't be able to lean on umbrella coverage. 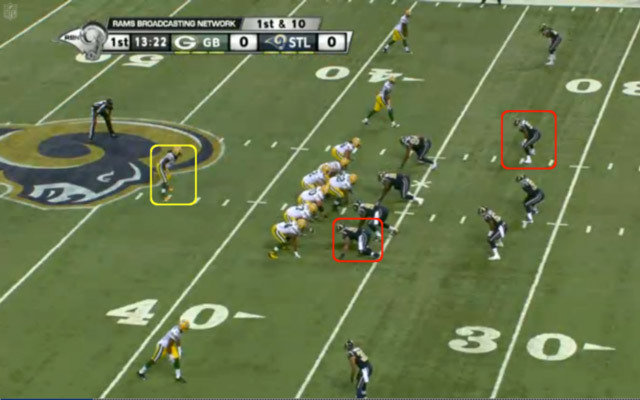 Play callers will look to outnumber the Packers at the point of attack, featuring more eight-man fronts against two-back formations and seven-man looks against one-back sets. 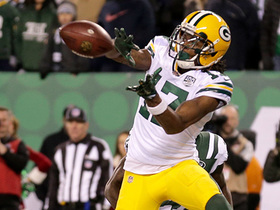 These tactics will force opponents into more single-high safety looks with one-on-one coverage on the perimeter, giving explosive playmakers like Jordy Nelson and Randall Cobb more opportunities to win on downfield routes. 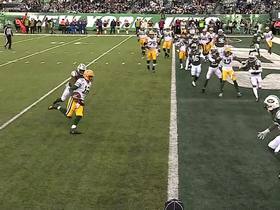 It's hard to imagine Rodgers playing better at the position, but his game could go to another level with Lacy thriving in the backfield. The threat of defending a big-time running back forces linebackers and defensive backs to play honest at the point of attack, which makes play action more effective in the passing game. Factor in more defenders near the line of scrimmage as part of a loaded box (eight-man front), and Rodgers should have bigger passing windows to target, particularly on early downs. 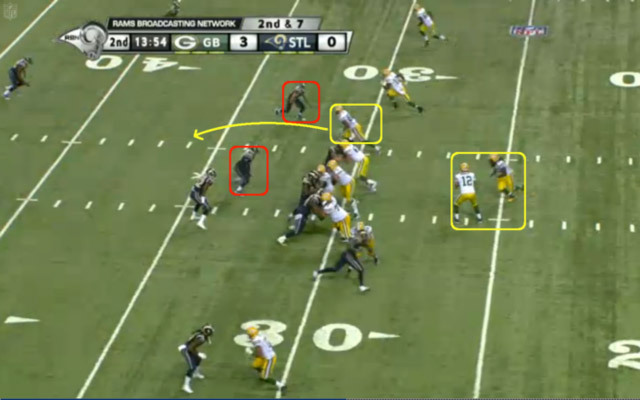 Studying the Packers' offense throughout the preseason, I've seen more play-action passes with complementary routes over the middle of the field. 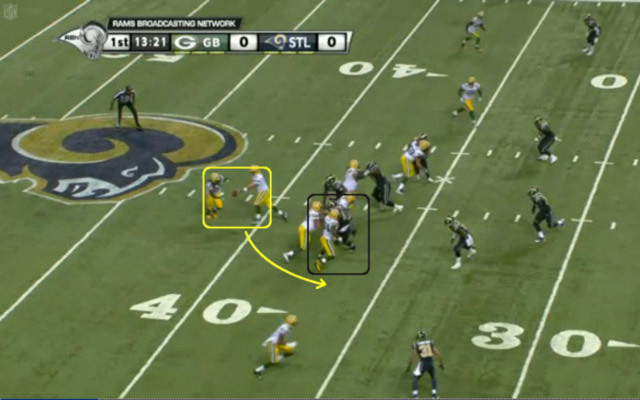 These routes are specifically designed to take advantage of overaggressive linebackers reacting quickly to the threat of Lacy receiving an inside handoff.